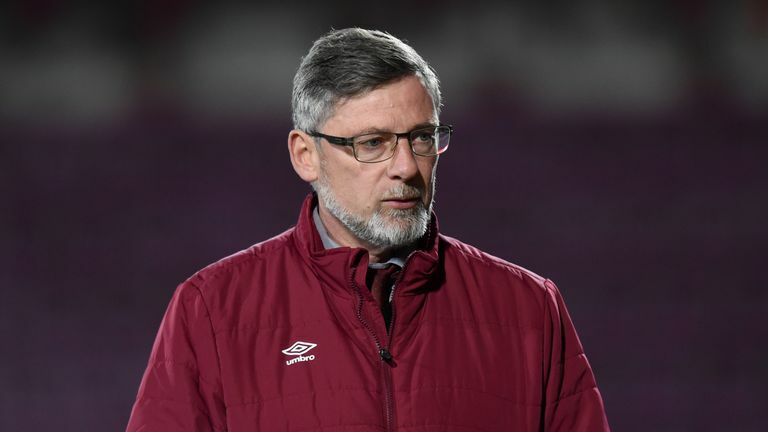 Craig Levein labelled David Vanecek's display against Dundee as "rubbish" after substituting the striker just 30 minutes into Hearts' 2-1 defeat at Tynecastle. Making just his second appearance for the capital club since arriving from FK Teplice earlier this month, Vanecek was dominated in the air, gave the ball away for Genseric Kusungu's opening goal and picked up a foolish booking. Levein delivered a withering assessment of the showing, insisting he was left with no choice but to replace the forward with Steven MacLean. And he has warned Vanecek, who is visibly lacking match fitness, that he needs to knuckle down to make his mark. Levein said: "I thought he was rubbish. He wasn't playing well, wasn't holding the ball up and then got himself booked. "I thought the last thing we needed was for David to get involved in another challenge and get himself sent off. He'll need to do a hell of a lot of work to get himself to the fitness levels he needs. Hearts did level prior to half-time courtesy of Olly Lee's deflected free-kick, but Andrew Nelson's second-half strike secured a deserved three points to lift Dundee off the foot of the table. Levein continued: "We started the game terribly. Normally Tynecastle is a hard place to come, we start at a good tempo and get the crowd up. Meanwhile, Dundee boss Jim McIntyre insists he will not get carried away with leapfrogging St Mirren in the battle for survival - but lauded his side's performance. He said: "I don't think we take anything from being off the bottom. It's too easy to say 'that's us on our way'. We could be back on the bottom come Saturday. But it's great to send the fans home happy.